Presidio Insurance offers Medical Professional Liability & General Liability Insurance for Health Care Facilities in most every state. We have programs for both the facility and associated physicians. Get multiple quotes from multiple carriers. If you have a unique or challenging scenario we have excellent programs for these markets as well. We offer coverage for urgent care centers, surgery centers, medical clinics, cancer centers, physical therapy facilities, medi-spas, laser tattoo removal and most all healthcare related facilities. Our team will consult with you to evaluate your current position and make sure we clearly understand your insurance requirements. Once we clearly understand your needs, we will market your coverage to multiple carriers and assemble variety of insurance coverage options for you. The team at Presidio Insurance has been working with medical and healthcare related facilities for over fifteen years. We understand the risks medical facilities face and it is important for business owners to work with a broker who understands medical professional liability insurance as it is unlike most other types of business insurance coverage. Coverage with A+ Rated Carriers. Get quotes from Medical Protective, The Doctor’s Company, Norcal Mutual, & other financially sound companies. We also have options for a-typical situations or where coverage may only be offered in the non standard marketplace. At Presidio we don’t feel you should compromise. When it comes time to defend a claim you want the best defense team behind you. We work with only the best carriers. All malpractice policies are not created equal. Annually our team reviews the products offered by insurance carriers to help our clients maintain the best coverage at the right price. We are excited to have the opportunity to help you protect your facility !! Please inquire about other facility types. 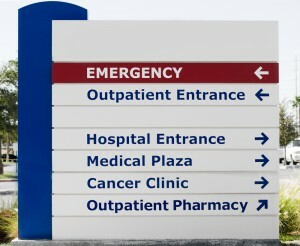 We have programs for most healthcare facilities in every state. If we don’t have a program we will be happy to refer you to someone who does.